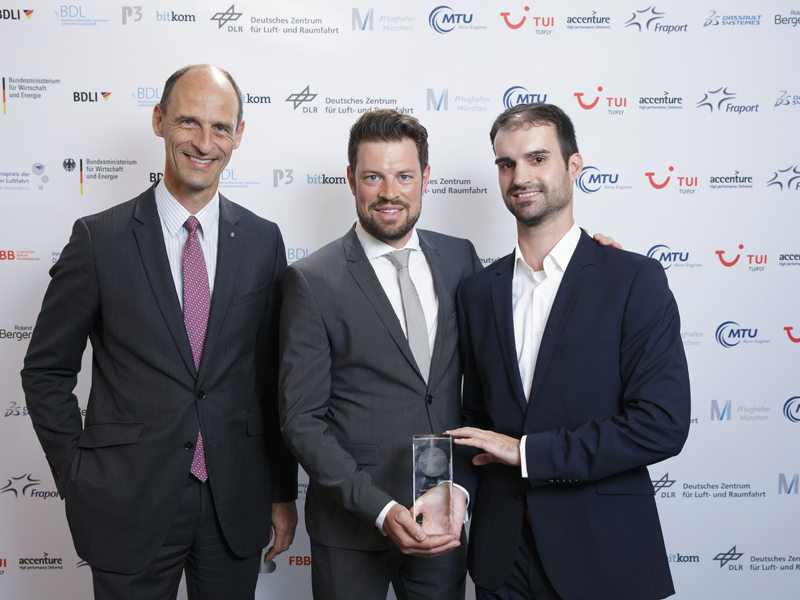 At the opening of the International Aerospace Exhibition (ILA) in Berlin on 31 May, Lufthansa was honored with the innovation award from the German Aviation Industry in the category of emissions reduction. Alongside Lufthansa three other winners were awarded the price in the “industry 4.0”, “customer journey” and “startup categories”. The innovation award is presented under the patronage of the German Federal Ministry of Economy and Energy (BMWi). The award recognises the newly developed analysis software OMEGA, which was developed together with the IT company Aviaso. The name stands for ‘Ops Monitor and Efficiency Gap Analyzer’. The IT programme uses data collected from flight operations to improve the efficiency of future flights. Amongst other things, weather, flight performance and navigation data are evaluated. After around three years of its project phase, it was successfully put into regular operation at the end of 2015. The new software programme provides important data by comparing the planned, actual and optimum values during the different phases of flight in order to reduce fuel and CO2 emissions. “We have taken a great step forward with project OMEGA: Now we can evaluate the experience gained from thousands of daily flights worldwide. And with it, we can optimise flight planning and therefore save several thousand tonnes of kerosene per year. This is a significant contribution to the improvement of the ecological balance", says Dr. Joachim Schneider, Vice President of Flight Operations Standards & Projects, Deutsche Lufthansa. Pilots can take advantage of the analyses carried out in order to optimally prepare during the flight and for its arrival destination, and also use it to detect any possible deviations from the plan at an early stage. In 2008, the Lufthansa Group published their strategic environmental programme. Since then, the Group has managed to improve the fuel efficiency of the passenger fleet by 11.5 percent to 3.84 litres per passenger and 100 kilometres in 2015.